Laad Bazaar is located quite close to the Charminar which is undoubtedly one of the most popular tourist spots of Hyderabad. 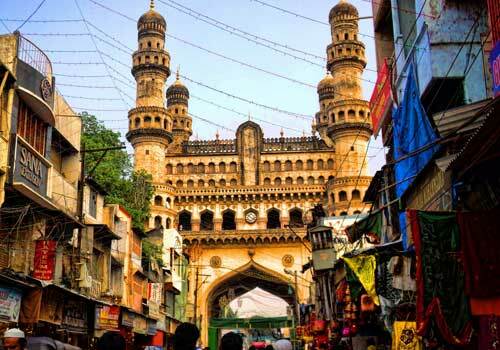 Adjacent to the monument, the Laad Bazaar is stretched on four roads starting from Charminar and is spread across an area of one kilometre. 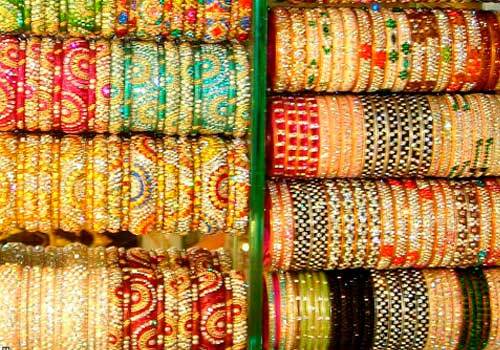 Charminar has been popular for bangles and various other traditional items since many decades. The Laad Bazaar still presents a glimpse of the bygone eras. It is said that the market has been there since the Qutub Shahis and the Nizams era and thus presents a living heritage of the city. 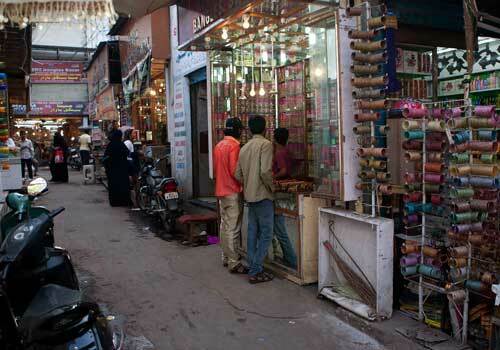 The name “Laad Bazaar” has apparently derived from the word “laad” which means lacquer. Lacquer is one of the important materials used to make bangles; these vibrant lac bangles are very popular among visitors. There are many legends associated with this historical market. 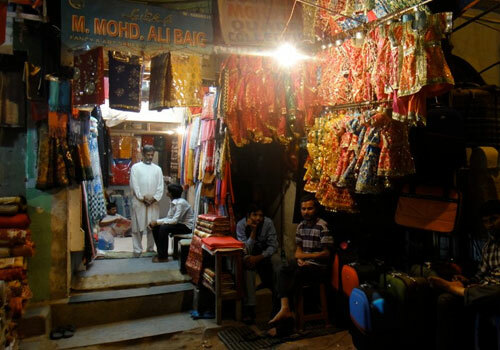 According to a legend, the origin of Laad Bazaar goes back to Ladli Begum who was the wife of the sixth Nizam of Hyderabad, Mir Mehboob Ali Khan. There is another story which traces its origin to Abdur Razzaq Laary, Golconda army general on whose name the 'Laary Bazaar' was named which became Laad bazaar or to Lord Rippon for whom the name 'Lord Bazaar' was coined, which eventually became Laad Bazaar. The reason can be any of these, but the charm of Laad bazaar is beyond all. The market, not just offers wide range of colour bangles to customers but also zari and embroidery works, sarees to other traditional clothing stuff along semi-precious stones. Laad bazaar pearls are equally famous too. Although a wide range of attractive items are being sold here, to buy the same you need to a master of bargaining! Bargaining for each and every item you decide to buy is a must. The prices are also enhanced extensively owing to the bargaining tradition of the place. Once bargained, you will be surprised by how cheap things are in Laad bazaar! It is not only the Laad Bazaar bangles, that people visit this place for; this ages old market is like a never ending fair. From mouth-watering eating choices to jewellery shops; shops for bridal wear to sequinned skirts and bags; Hyderabadi pearls to junk jewellery; this place has almost everything that a woman can have is her shopping list. The shops here at Laad Bazaar don’t open early in morning. It is only after mid-morning that you see shopkeepers opening and arranging the items in and around their shop. 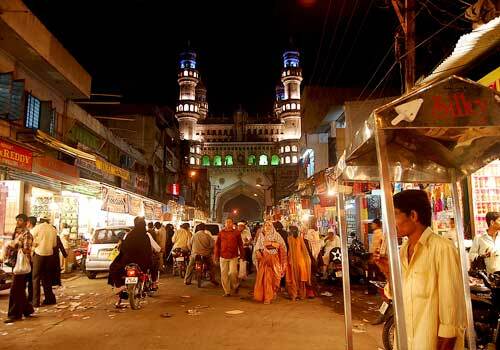 Although the laad bazaar Hyderabad timings are from 11 in morning till 10.30 in night, the best time to go is by evening. 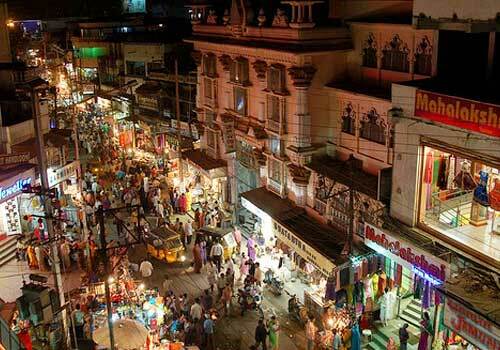 You can visit Charminar and enjoy the view from its top in evening and then begin your shopping affair with the glittering Chudi bazaar. Its location which is in between Charminar and Chowmahalla Palace also adds on to its popularity. The bazaar sees an approximate of 500-600 foreign tourists every day. It is a popular tourist spot for both national and international tourists. Once at the bazaar, you are supposed to walk on foot as the vehicles are not permitted inside the bazaar.